Coconut Macaroon is Chewy and moist on the inside, crispy and golden on the outside. 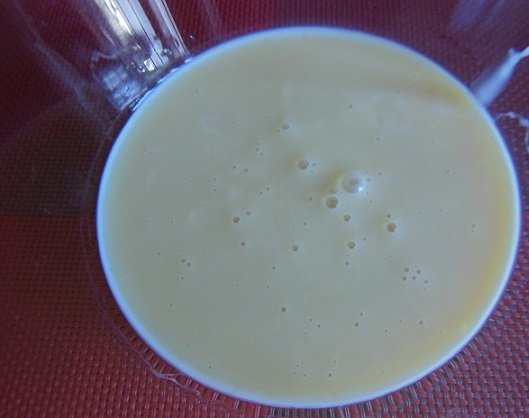 Take Condensed milk in a bowl and beat it using a whisk for 2 minutes. 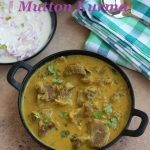 Add the desiccated coconut into the condensed milk little by little and stop at the point when the mixture is not sticky or too dry. Add Vanilla essence and mix it. Make small balls and flatten it in your palm. 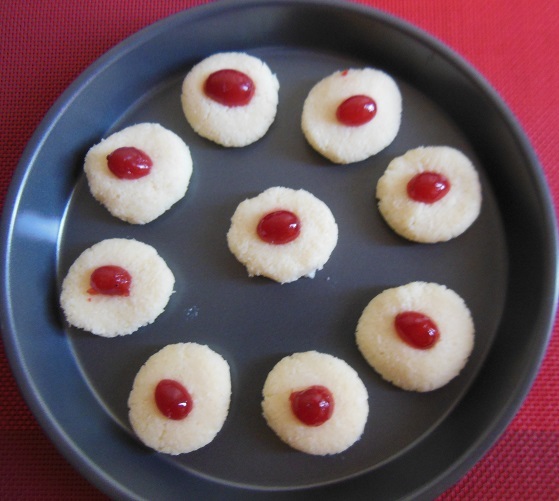 Slice a cherry and place is on top of the flattened coconut balls. 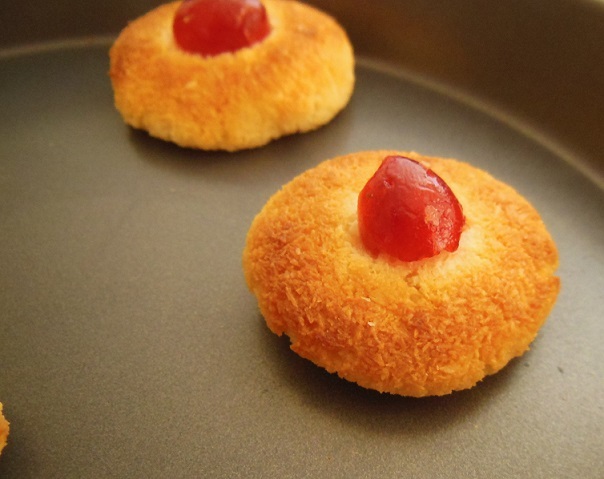 Arrange the flattened coconut balls in a greased baking tray. I have baked the cookies for 15 minutes in 180 degrees. Keep an eye on the cookies when the top of the cookies turns golden brown they are ready. Stop baking at this point. Coconut Macaroons are now ready to serve. 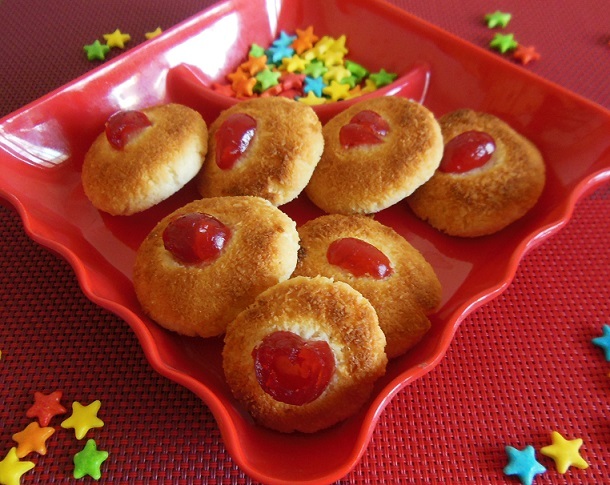 Coconut Macaroon can be served as a dessert. 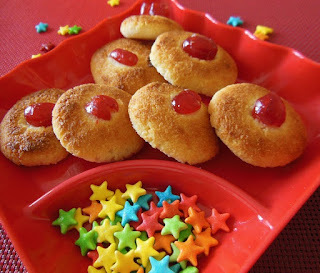 Kids love these cookies hence these can be served as a snack with a glass of milk. The quantity of the coconut completely depends on the desiccated coconut used. So add the desiccated coconut little by little until it reaches the right consistency. The mixture must not be too sticky or too dry. Grease the baking try with butter/oil before placing the coconut balls for baking. The baking time completely depends on your microwave hence read your user manual carefully before baking. If the Cookie is too wet it will burn while baking. 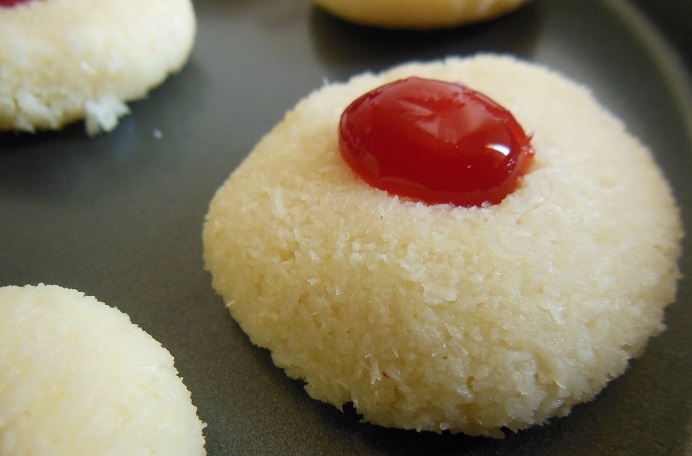 Cherry is not an essential ingredient but it makes the macaroon look awesome. Add the condensed milk into a large bowl. 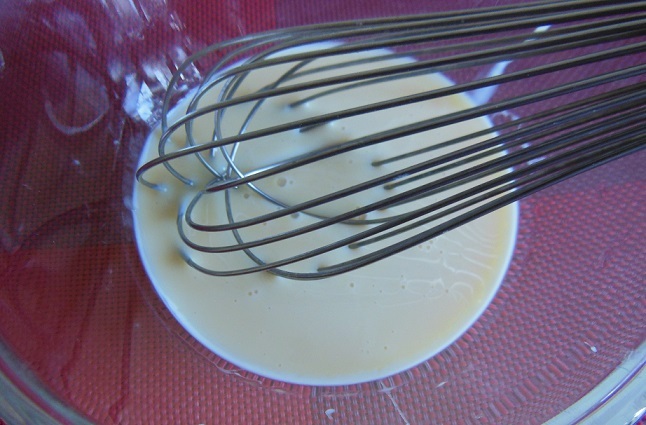 Beat the condensed milk for 2 minutes using a whisk so that it becomes even. 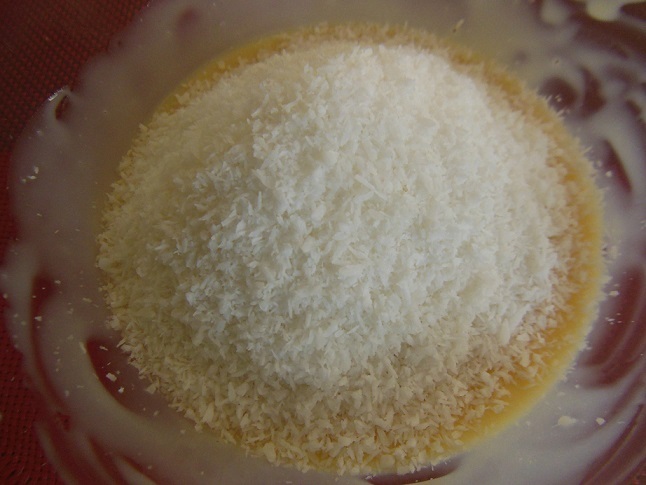 Add the desiccated coconut into the condensed milk in slowly in small amounts and mix them. 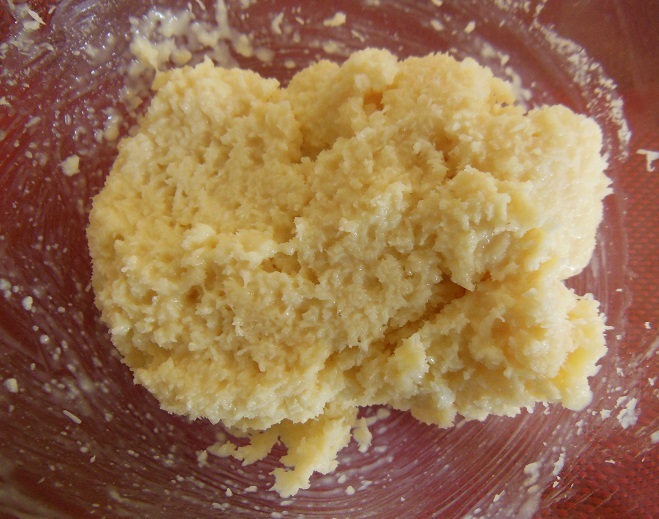 Make a dough until the mixture is not too sticky or too dry. Add the Vanilla Essence and mix again. 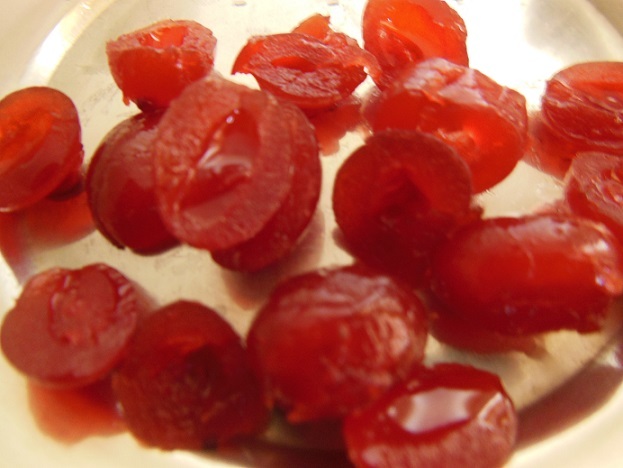 Slice the cherries into halves to prepare topping got the macaroons. Make a small ball and flatten it in your palm. Top with a half cherry. Make more balls until all the mixture is over. 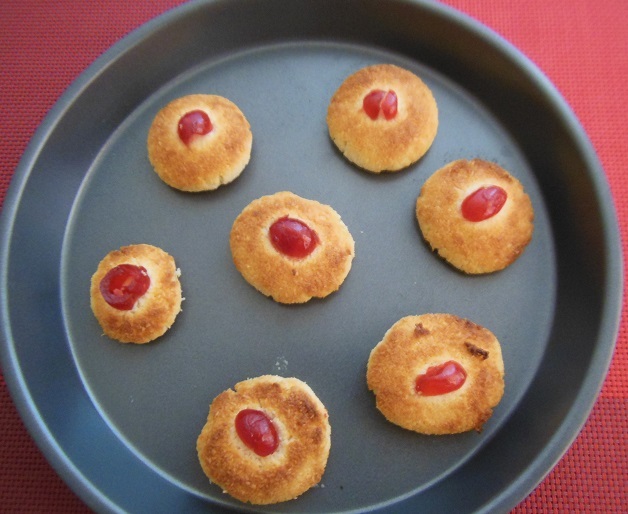 Grease a baking tray with butter and arrange the flattened balls in the baking tray. Preheat the microwave oven to 180 degree. I have baked the cookies for 15 minutes. The top of the cookies turn into golden brown, yes your cookies are done now. A batch of macroons are yours in less than half an hour. 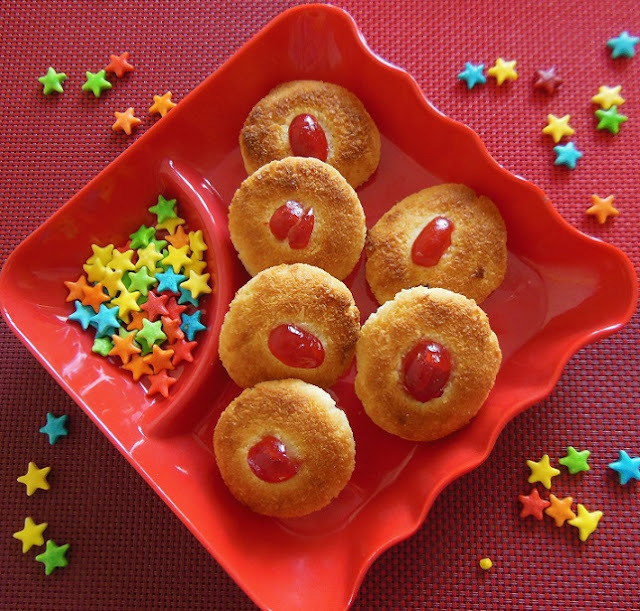 A great tea time snack…nice clicks, looks yummy! !